Dr. Travis Dorsch (P.I.) a former two-sport NCAA student-athlete, is an Assistant Professor of Family, Consumer, and Human Development with an adjunct appointment in the Department of Kinesiology and Health Science at Utah State University. As the director of the Utah State University Families in Sport Lab, Dr. Dorsch’s research lies at the intersection of the sport and family domains. Specifically, he has focused his research on understanding the psychosocial outcomes of parents’ involvement in their children’s athletic participation, the role of sport participation on family relationships and parent-child interaction, and the antecedents of parent support and pressure in the sport context. Administrators and coaches from recreational and competitive sport leagues have used Dr. Dorsch’s research findings to construct more developmentally appropriate sport contexts and to evaluate the role of parent involvement in organized sport. 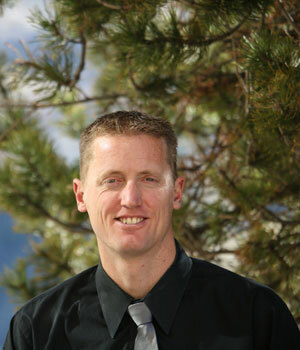 You may contact Dr. Dorsch at Travis.Dorsch@usu.edu and you can learn more about his work at www.usuFamiliesInSportLab.com. Dr. Katie Lowe (Co-I) completed her doctorate in October 2015 from the Department of Human Development and Family Studies at Purdue University, and is currently a Postdoctoral Research Fellow at Clark University under the mentorship of Dr. Jeffrey Arnett. Her research is grounded in developmental and ecological theories and seeks to understand the unique and joint effects of parenting factors (e.g., involvement) and classroom factors (e.g., student-teacher relationship quality) to youths’ academic outcomes from early adolescence to emerging adulthood. Her dissertation investigated longitudinal links between changes in parent involvement (i.e., parent support giving, academic engagement, and contact with students) and changes in domestic freshmen students’ academic success, well-being, and individuation across the first year in college. She received the 2012 Ruth Hathaway Jewson Dissertation Award from the National Council on Family Relations, and is the 2014 Recipient of the Bilsland Dissertation Fellowship from the Purdue Graduate School. She aims to use her dissertation results to inform the design of developmentally appropriate parent programs on college campuses. You may contact Dr. Lowe at kalowe@clarku.edu. 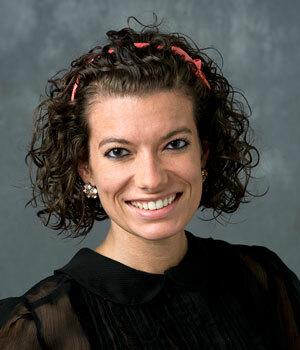 Dr. Miranda Kaye (Co-I) a former NCAA student-athlete, is a Faculty Research Associate at Pennsylvania State University. Her multidisciplinary graduate training in Kinesiology was grounded in human development and behavior with an emphasis on individual development throughout the sport experience. Research methodology and statistics were a focal point of her training; she has expertise in research design, measurement, and data analysis (i.e., regression, ANOVA, SEM, APIM). 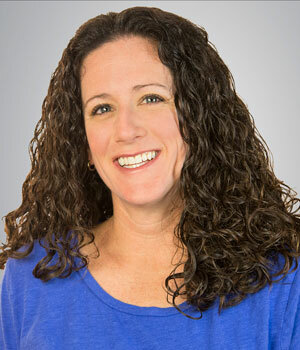 Her research focuses on two main areas: (a) The differing ways in which individuals engage in competence pursuits and how significant others (e.g., coaches, parents) influence psychosocial and behavioral outcomes of youth through college athletes, and (b) testing and evaluating intervention programs in contexts such as youth sport and the workplace. She has also worked extensively with high school and NCAA Division I teams on improving athlete development (i.e., psychosocial wellbeing and performance). You may contact Dr. Kaye at mpk180@psu.edu. Dr. Aryn Dotterer (Co-I) is an Assistant Professor in the Department of Family, Consumer, and Human Development at Utah State University. Dr. Dotterer earned her Ph.D. in Human Development and Family Studies at Penn State and prior to joining the faculty at USU, she was an assistant professor in the Department of Human Development and Family Studies at Purdue University. Her research is concerned with family and school factors related to children’s and adolescents’ school engagement and academic achievement. She is particularly interested in parenting practices, parent-child relationships, and racial/ethnic discrimination. Dr. Dotterer teaches courses on child development, parenting, and family diversity. She has been recognized for excellence in family research (Center for Families, Purdue University) and has received funds to support teaching innovations in family diversity (Diversity Resource Office, Purdue University). You may contact Dr. Dotterer at Aryn.Dotterer@usu.edu. Dr. Jeffrey Arnett (Co-I) completed his doctorate in 1986 at the University of Virginia, and is currently a Research Professor at Clark University. His research is grounded in developmental theory and led to the conceptualization of a new life stage, Emerging Adulthood. This work recognizes that most people no longer make a quick transition to a settled young adulthood by the early twenties, but rather undergo an extended period of exploration and flux before entering stable adult roles near age 30. The theory of emerging adulthood has become widely used in psychology and other fields. Although Dr. Arnett has conducted research on a wide variety of topics in emerging adulthood, his most focused interest remains parent-child relationships during this period. He received a 1983 NSF Fellowship while at the University of Virginia, was a Fulbright Scholar in 2005, and has served as the Executive Director of the Society for the Study of Emerging Adulthood since 2013. 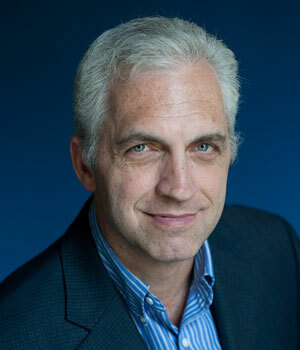 You may contact Dr. Arnett at jarnett@clarku.edu and you can learn more about his work at www.jeffreyarnett.com. 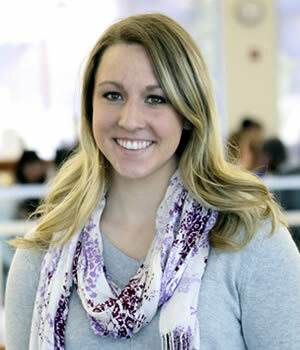 Ms. Logan Lyons is a doctoral student in the Family, Consumer, and Human Development Department at Utah State University. 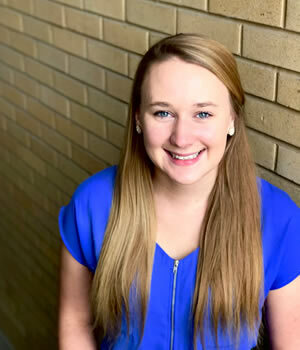 She is a Research assistant in the Utah State University Families in Sport Lab and works in a consulting role with the athletic department on campus. Her research targets the impact of family factors on the development of student-athlete individuation and motivation. You may contact Ms. Lyons at Logan.Lyons@aggiemail.usu.edu. Ms. Amanda Faherty is a doctoral student in the Developmental Psychology program at Clark University working with Dr. Jeffrey Arnett. She received her B.A. in Psychology from Hobart & William Smith Colleges in 2015 and also played on their women’s soccer team. Her research examines the influence of parenting, specifically engagement, involvement, and acceptance/rejection, on a broad range of outcomes during emerging adulthood. For example, she is interested in understanding cultural differences in parenting emerging adults, assessing links between parenting and identity development among college student-athletes, and examining the experiences of non-college bound emerging adults. You may contact Ms. Faherty at AFaherty@clarku.edu. 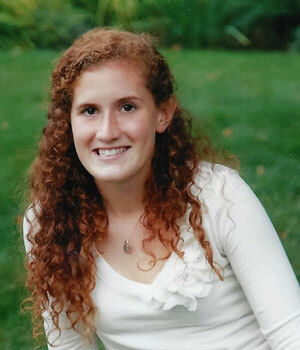 Ms. Analise Barker is a pursuing a masters degree in sport psychology at Springfield College in Massachusetts. Ms. Barker completed her undergraduate work at Utah State University, double majoring in Psychology and Human Movement Science, where she also also served as an undergraduate research assistant in in the Families in Sport Lab and worked for the athletic department. After graduation, she plans to peruse a PhD in Sport Psychology. You may contact Ms. Barker at analise.barker@aggiemail.usu.edu. Ms. Chantel Poston was an undergraduate researcher at Purdue University in 2014 and helped with participant recruitment, interviews, and analysis during the qualitative portion of this research. 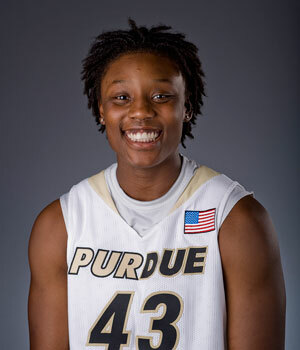 Ms. Poston played for the Purdue Women’s Basketball team and had a personal interest in the role of families, specifically parents, in the maturation and development of college student-athletes. She graduated in 2015 with a major in youth, adult and family services and a minor in sociology. 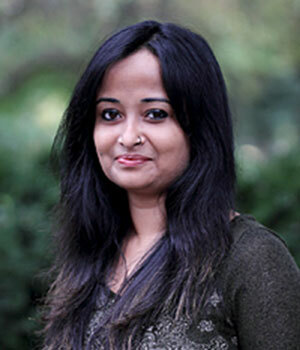 Ms. Aura Mishra is a doctoral candidate in the Human Development and Family Studies program at Purdue University. Through her substantive research, she is examining links between adverse and traumatic experiences during childhood and adolescence on long-term physical health, psychological health, and overall well-being outcomes. Importantly, she focuses on utilizing longitudinal modeling techniques to understand the role of risk and protective factors on well-being outcomes in at-risk children and youth. You may contact Ms. Mishra at mishra30@purdue.edu. Dr. Albert Bimper is an Assistant Professor at Colorado State University in the Ethnic Studies Department. He also serves as the Senior Associate Athletic Director for Diversity, Inclusion, & Engagement in the Department of Athletics at Colorado State University. Dr. Bimper completed his Ph.D. in Curriculum & Instruction with a concentration in Cultural Studies in Education at the University of Texas at Austin, and holds a M.S. in Sport Psychology from Purdue University and a B.S. in Health & Exercise Science from Colorado State University. 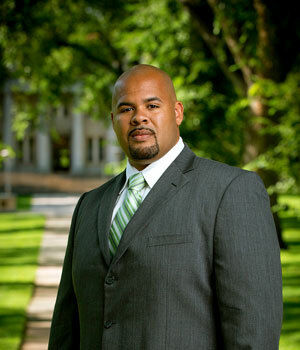 Dr. Bimper’s passion for sport, education, and social justice stem from his own experiences as a former collegiate student athlete playing football at Colorado State, playing professionally for the Indianapolis Colts, and serving student-athletes as a coach and mentor. His research and pedagogical interests concern student-athlete development, particularly the intersection of race and sport and how they are related to the identity and educational development of student-athletes of color. Dr. Bimper is a past recipient of the Graduate Diversity Award from the North American Society for the Sociology of Sport and a past Graduate Recruitment Fellow honored by the Division of Diversity and Community Engagement at The University of Texas at Austin. You may contact Dr. Bimper at albert.bimper@colostate.edu. 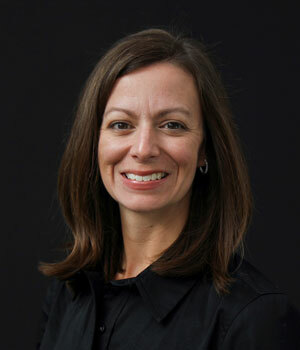 Ms. Nancy Cross oversees five programs at Purdue University – women’s basketball, men’s and women’s golf, and men’s and women’s tennis – and is the athletic department’s senior woman administrator. Cross has held numerous positions in the athletics department, including associate athletics director for marketing and development (1999-2004), director of the John Purdue club (1993-99), assistant director of the John Purdue Club (1988-93), promotions coordinator (1984-88), head field hockey coach (1981-88) and assistant women’s basketball coach (1979-84). During her tenure as field hockey coach, Cross was honored as the Big Ten Conference Coach of the Year in 1987. She served as sport commissioner for field hockey for the 1987 Pan American Games and on the WGC local organizing committee in 1991. Cross joined the Purdue staff as assistant field hockey and assistant women’s basketball coach in 1977 while earning her M.S. degree in physical education. After successfully completing her M.S. in 1978, Cross returned to her alma mater, Ashland (Ohio) College. At Ashland, she was head coach of both the women’s basketball team and women’s tennis team. Cross has been the recipient of many campus honors and awards, including Outstanding Advisor by the Purdue Foundation Student Board and Outstanding Woman (sports category) by Greater Lafayette. You may contact Ms. Cross at ncross@purdue.edu. Mr. Kevin Nesfield is an Assistant Director of Compliance at East Carolina University who provides oversight regarding all aspects of financial aid, awards and benefits and the Student Assistance Fund. Previously, Nesfield worked at Rice University as a Compliance Coordinator (2012-2014) where he provided oversight with admissions, initial eligibility, recruiting, and National Letters of Intent for incoming student-athletes. He also served as a liaison for the Student-Athlete Advisory Council. Prior to his tenure at Rice University, Nesfield held coaching and teaching positions at the high school level. 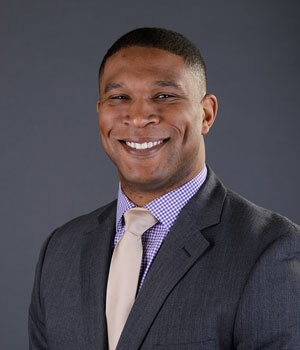 Nesfield‘s interest for the inner workings of sport emerged from being a former football student-athlete at Purdue University and serving on the NCAA Recruiting Task Force as one of two student-athletes that discussed national reforms in recruiting. Nesfield is also a member of the National Association of Athletics Compliance. You may contact Mr. Nesfield at nesfieldk14@ecu.edu. Research for this project was conducted with the support of the National Collegiate Athletic Association. Any opinions, findings and conclusions are those of the authors and do not necessarily reflect the views of the NCAA. We thank the NCAA administrators, coaches, student-athletes, and parents who took part in the research. Interested in being a contributor on our project? Click Here.